This article is my own intellectual property and was originally published via Disobedient Media. When retelling the political saga surrounding former DNC Chairwoman Debbie Wasserman-Schultz over the last two years, one could be forgiven for mistaking it for the plot of a political satire, a comedic gag routine that just won't stop. 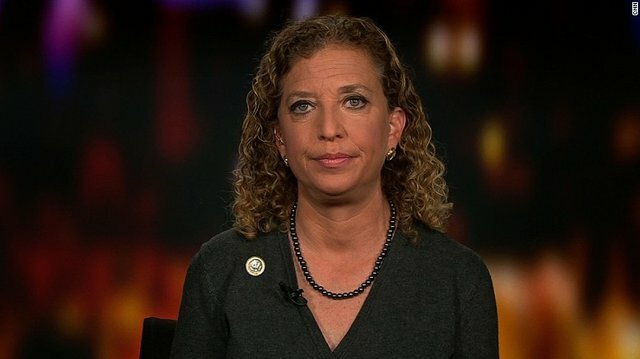 From her part in seeing Bernie Sanders cheated of the 2016 Democratic Party nomination, to her probable involvement in bizarre instances surrounding the DNC Fraud lawsuit (voice-modulated phone calls including the phrase "okey-dokey" ), to her central role in the even more astounding Awan scandal involving data breaches of a vast section of Congress, Wasserman-Schultz could be mistaken for a bumbling and laughable villain. However, the serious damage her political history has wreaked on not only Southern Florida, but on the Democratic Party and on the American Democratic process in anything but laughable. The headlines we do not see published by corporate media are endless: Wasserman-Schultz takes money from polluters then attempts to use the resulting environmental catastrophe to re-elect herself, Wasserman-Schultz kisses Democratic lobbyist in public after he offers to shoot Edward Snowden and Julian Assange, Wasserman-Schultz takes money from for-profit detention centers before using them as a photo opportunity to cloak herself in a veil of liberalism. All of these would-be-headlines are based in reality, yet none would adequately encapsulate the whole of one of the most corrupt careers in US political history that received no establishment press coverage. The fact that Schultz has remained virtually untouchable despite so many bizarre and dangerous episodes, is a direct portrayal of just how far we have trodden the path of total plutocracy and obeisance of the media to the political sphere. The "stenographers of the state" have grown so totally faithful that, despite WikiLeaks and the whistleblowers who have submitted millions of documents to the organization, and the growing niche of independent journalism, the Wasserman-Schultz's of the world continue to operate shamelessly and overtly against not only their constituents' interests but also against the US democratic process in broad daylight. All while deflecting blame onto the Russians, of course. At the time of writing, less than twenty-four hours remain until election results will decide whether Independent Tim Canova will replace Debbie Wasserman-Schultz as the Congressional representative of Florida's 23rd district. Recent press reports indicate that in the closing days of the campaign, Canova is in a dead-heat with the incumbent. The Floridian wrote: "If Canova pulls a decent number of Democrats and Democrat-leaning Independents away from Wasserman-Schultz, he wins. Canova also seems to be taking away from Kaufman [The Republican candidate]." 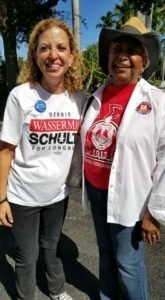 Adding to the near-visible tension ahead of tomorrow's vote were the reports that Wasserman-Schultz was photographed campaigning with Brenda Snipes, the Broward County Supervisor of Elections who was found to have illegally destroyed ballots from Canova's 2016 Primary race against Wasserman-Schultz before they could be recounted. Allegations that Snipes had appeared with Schultz on the campaign trail were raised via Twitter, and shared shortly afterward by Tim Canova, who added: "It takes arrogance and contempt for the public for Wasserman-Schultz to campaign openly with Brenda Snipes." 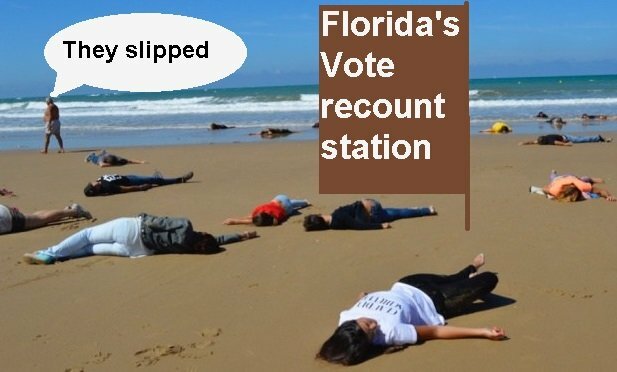 "Canova, who was checking for voting irregularities in the race, sought to look at the paper ballots in March 2017 and took Elections Supervisor Brenda Snipes to court three months later when her office hadn’t fulfilled his request. Snipes approved the destruction of the ballots in September, signing a certification that said no court cases involving the ballots were pending. Snipes called the action a “mistake” during testimony she gave in the case, saying the boxes were mislabeled and there was “nothing on my part that was intentional” about destroying the contested ballots." It was this seminal moment, Canova has often said, which ultimately drove him to run as an Independent, outside of the endemically corrupt DNC. In a previous opinion piece on the importance of Canova's Independent candidacy when compared with progressives attempting (and failing) to reform the Democratic Party from within, this author noted that we could only expect to witness repeated attempts to interfere with the vote in the midterms. At the time of writing that op-ed, Brenda Snipes had not yet been photographed openly campaigning with Wasserman-Schultz. Now that the incident has become public knowledge, the expectation of interference with the election on Tuesday has never been higher. Ultimately, what Snipe's appearance with Wasserman-Schultz on the campaign trail tells us is that there is no line the Congresswoman is not willing to cross, and she is willing to do so in public view thanks to her expectation of an obedient and friendly media. Whether involving support for the agri-business interests largely responsible for the recent ecological apocalypse along Southern Florida's coast, approving of for-profit detention centers, Schultz shows an utter absence of shame as one of the most overtly corrupt political figures in the nation. To accurately monitor the voting process, a number of organizations and hundreds of volunteers, including the Movement for a People's Party have been mobilized tomorrow's election. As per the Miami Herald: "Canova said, "Some of the nation’s leading election security experts and election recount lawyers are also giving Snipes’ office “special attention” in his election. A team from AUDIT USA is already on the ground, along with lawyers from both within Florida and from out of state. In addition, Democracy Counts!, a non-partisan, non-profit election integrity organization, is conducting a citizens’ audit at many key precincts on Election Day." So, will tomorrow's vote finally put Wasserman-Shultz's career to an end? Regardless of the official vote count, one can be assured that at the very least, any malfeasance in the voting and ballot-counting process will not go unnoticed or unreported. However, more volunteers are needed at this critical time for that process to be successful. At the time of writing, Canova's campaign still needs additional volunteers who can monitor tomorrow's vote. Readers who wish to donate to Canova's campaign can do so via his campaign's website. To volunteer for tomorrow's election monitoring effort, readers are encouraged to call 954 562 0806. As always, Disobedient Media will continue to report on issues of political corruption that legacy press actively avoids reporting, including the career of the incumbent Congresswoman of Broward County. Support Elizabeth Vos's independent journalism via Patreon! I sure hope this is it for her. Get that corrupt snake out of office. We will know soon, at any rate. Fingers crossed. I think Canova will be given the win that way they don’t get too much heat on them for cheating him out of it. Then Schultz will go on to be a consultant and make way more money and still influence like she has. Revolving door. If you're right, it would be some type of progress, sort've. My expectation is that they will still try to rig it, but that the monitors and volunteers will spot any blatant BS - whether today or in the counting process/unwillingness to recount - and be ready to sue as necessary. You may very well be correct though. Thanks for reading and responding! I never know if you larger blogs have the time to so I think that was cool. I think it’s probably a combination of both of our thoughts. We shall see in the coming days though!